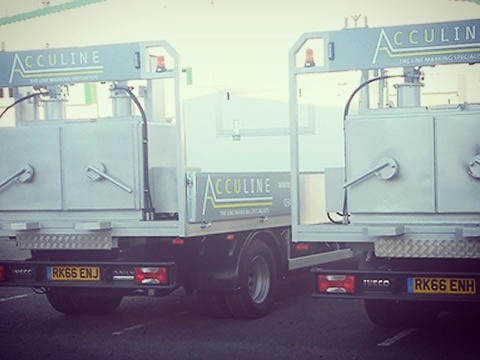 Welcome to Acculine, a specialist contractor for Line Marking Services, from adding a Disabled Bay to marking up hundreds of sites across the UK. We use the latest lead free BS EN1436 & BS EN1871 as standard. 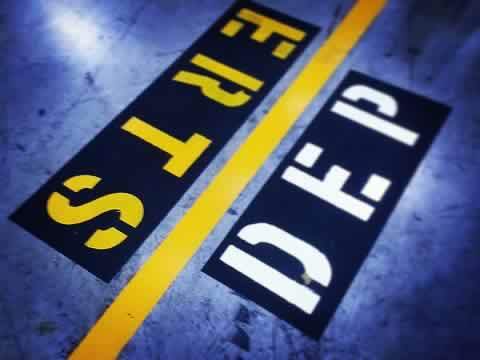 We operate out of Multiple Depots across the UK, giving us the capability of full nationwide line marking coverage 24/7. We heavily Invest in our training & lining equipment to bring the very best product to your site, whilst minimising our carbon footprint and increasing our efficiency and uptime, to complete your project to specification and on time, every time. Pictured are Harry & Jenny our January 2017 fleet additions to our London & Midlands Depots. 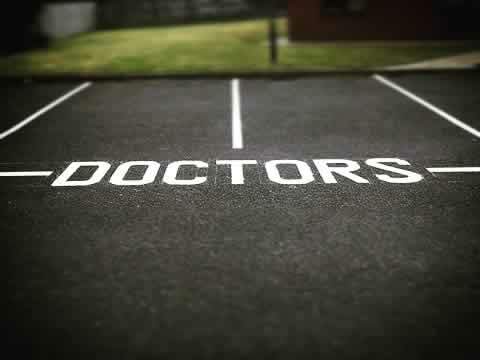 We are a leading car park marking company and can carry out Car Parking Bays, SUV Bays, Disabled Bays, Allocated Parking & Bay Numbering. 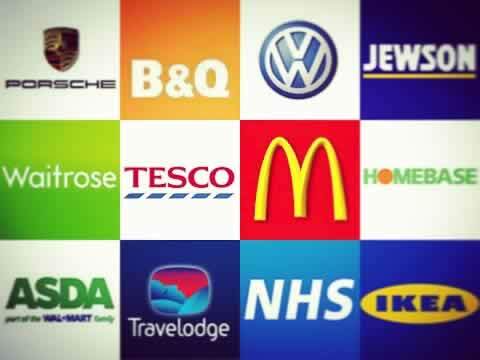 We can also carry out more specialised services such as custom company logos and colour matching. 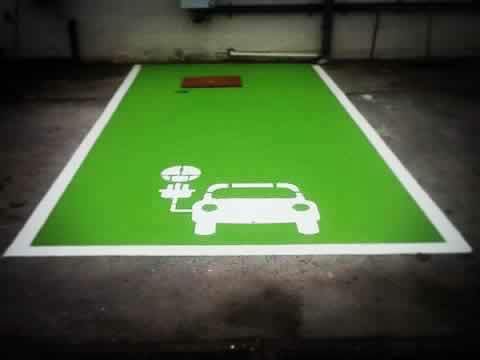 We have lined hundreds of electric charging bays throughout the country. We work with many of the market leading installers lining dozens of different designs, contact us today to find out more and discuss savings across multiple sites. 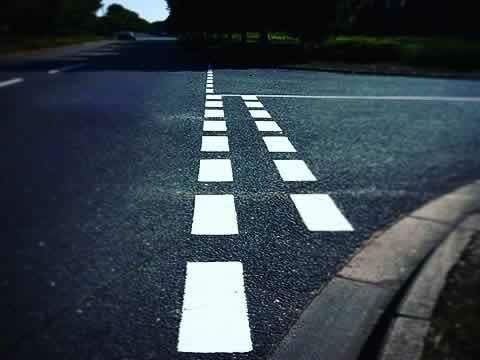 We carry out full UK Road Marking Services, From Lining Private Roads to Council Contracts, Road Markings Include; Double Yellow Lines, Give Way Junctions, Zebra Crossings, Centre Line, Direction Arrows and much more. 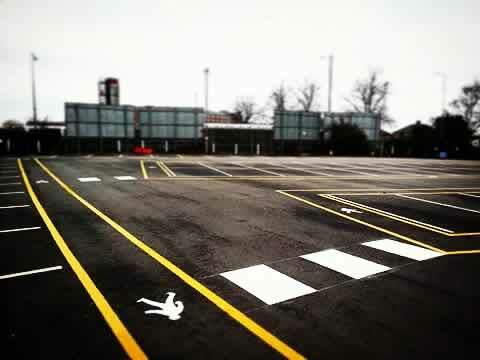 Acculine is happy to represent your contracting business for road markings on sites throughout the UK. We can standardise our service and pricing across all sites. 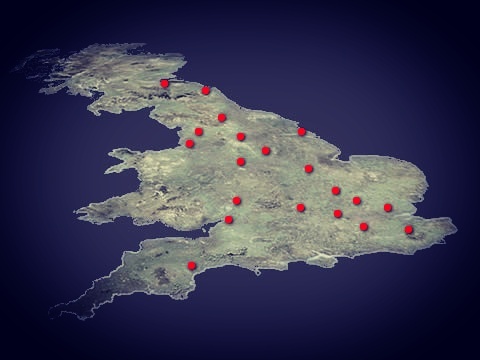 Contact us today to see how Acculine can assist you on sites across the UK. 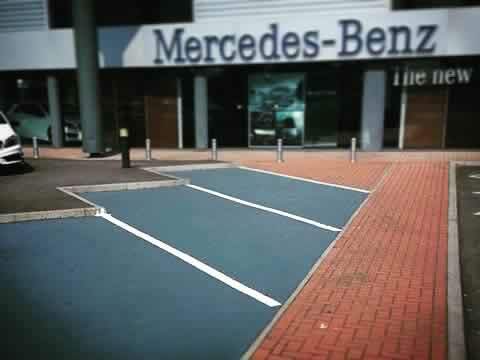 Acculine can apply coloured surfacing in any RAL colour and apply to Car Parking Bays, Walkways and Internal areas etc. 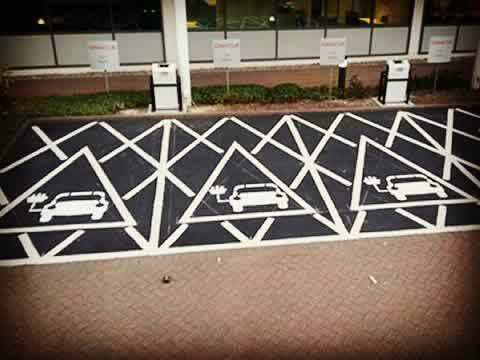 As well as marking bays our areas to your business, we can install custom logos to your site & bay areas. Please contact us today to find out more. 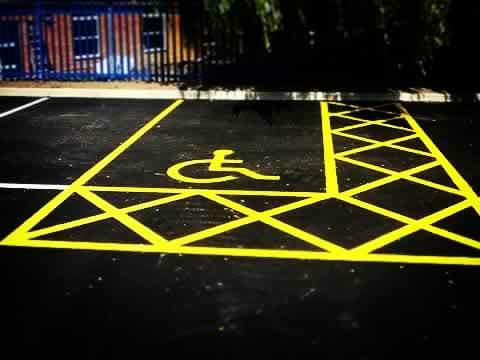 We can carry out line painting to any required specification or design. We have a straight forward quotation process and can quote from itemisation, detailed drawing, google earth or sketch, in some cases a free site survey may be required. 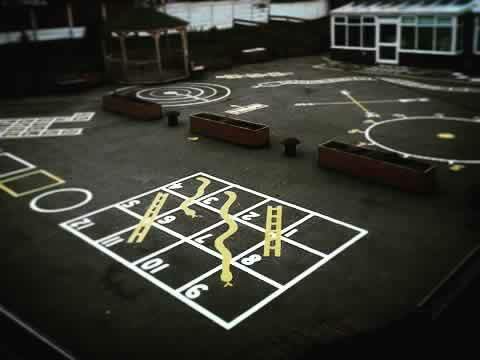 We have dozens of school playground marking templates to choose from, or we can line custom playground markings exactly to your design and specification, please get in touch for our latest brochure. 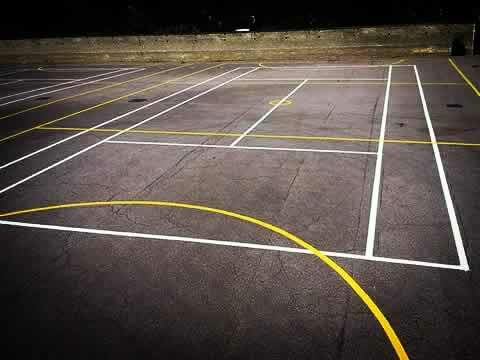 Acculine is also a sports court markings contractor, we can line all courts including football courts, tennis courts, basketball courts, netball courts etc on time and to specification in a variety of colours. 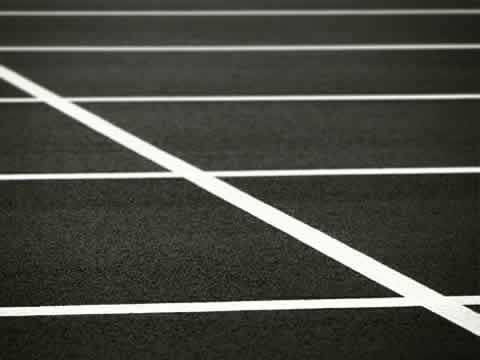 We carry out nationwide white lining services for small business, contractor, schools, hospitals, surgeries, parking lots, local authorities, supermarkets, retail parks, factories, industrial units, care homes, residential buildings & many more. Over the years we have worked with many branded companies, local authorities, ministry of defence sites, Airports upholding our work to the highest standard across hundreds of sites across the UK. Acculine can help you with your site layout & health & safety compliance. From adding pedestrian walkways & Zebra crossings, to traffic management Arrows, Cautions, Speed Restrictions, Junctions & Traffic Flow. 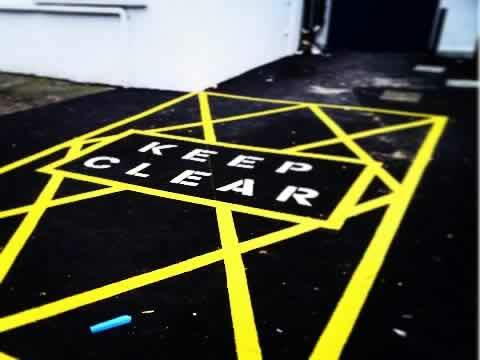 Acculine can apply Internal Line Marking Services; Chlorinated Rubber, Single Pack Epoxy Resin, MMA Aggregate, Tack Coat Primer, Etch Primer & Sealant. With this range we can apply to any surface in your internal warehouse. 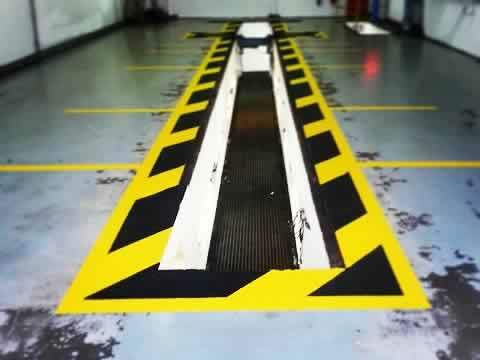 We carry out all types of warehouse line painting including loading bays, walkways, hazard areas, fork lift traffic control and pedestrian safety areas.